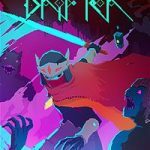 Hyper Light Drifter is an old-school 2D action adventure game with RPG elements that harken back to the original Zelda on the NES. Funded by Kickstarter, the game smashed its original $100,000 goal and raised over $640,000. The game is Alex Preston under the developing name of “Heart Machine.” Preston has had a terminal heart condition since birth and wanted to tell his story through his game. Hyper Light Drifter is an incredible game that feels simultaneously new and refreshing yet somehow classic and nostalgic. 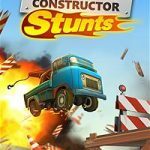 Every aspect of the game is developed with love and care, and it’s bursting with a personality unique to itself. Few games leave me thinking and feeling the way I do about Hyper Light Drifter. And fewer still remain in my mind and heart for years to come; I believe Hyper Light Drifter is one of those few true treasures in gaming. After a short cryptic opening sequence, the game plops the player into the world controlling a nameless hero known as a drifter in an open-world. From the start, the player can go in any direction in any order to progress through the game and story. There are four main areas to discover; North, South, East, and West and it’s up the player to choose in which order to explore. This truly open world feels a lot like the original Zelda for the NES to me. The game begins in a small lively town hub. There isn’t a single piece of text in the whole adventure, the fantasy is told through the world and through interactions with the characters of the world. Even the NPCs communicate through storybook style static images. Although the story is very mysterious, it’s incredibly interesting and thought-provoking. And the added knowledge of understanding that the developer has a terminal condition fleshes out the story in even more intriguing ways. The gameplay of Hyper Light Drifter is fluid and challenging. The primary weapon is a sword but in time guns and bombs can be earned. The drifter has a dashing ability that can be used to dodge and maneuver around enemies. There are multiple weapons to collect that all have varying attributes like a long range sniper and a powerful up close spread shotgun (my personal weapon of choice). Back in the hub town, there are shops that sell upgrades to the guns, more room for health packs, new dash and sword moves, and more. These upgrades are purchased with yellow collectibles that are hidden throughout the world. Speaking of things being hidden, Hyper Light Drifter is showered with secrets, yet another aspect that reminds me of old-school classics. There are hidden things everywhere, and there’s always a reward at the end of the rainbow. The game can get perplexing at times, as there are few clues as to how to get to each objective. But it’s incredibly rewarding discovering the answers to the various puzzles, and they never feel unmanageable. Enemies are diverse and clever. Each enemy seems to have its own character and style and learning how to dodge and attack each enemy is key to survival. And surviving is not easy! The game is very challenging but in an entirely fair way. I never died and thought that I had been screwed over or that the game unfairly attacked me, if I died it was my own fault for not managing the situation properly. And if I did die, it would always place me at a checkpoint that wasn’t too far back from where I was. 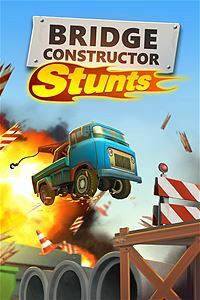 There’s a fine line between a satisfying and challenging combat system that feels amazing to master and overbearing impossible gameplay that drives the player crazy. And Hyper Light Drifter walks that line to perfection. The world of Hyper Light Drifter is gorgeous. Every aspect of the game seems like it was hand painted–like it belongs exactly where it has been placed. The game was partially inspired by Studio Ghibli’s “Nausicaa of the Wind” and it can’t possibly look any better. Created in amazing 8/16bit, it feels both like something that could have been on the SNES or NES and like something that those consoles wouldn’t have dreamed to create. The enemy and character design are flawless, they all feel real and full of life. The carnage after a bloody battle is awe-inspiring and even with the entire screen filled with enemies and projectiles the game never even hiccups. The music and sound design are also remarkable, it sounds like nothing I’ve ever heard, and it fits the world perfectly. The sound design and music fit the tone like a glove, and it never lets up. The quiet, somber moments are met with ominous music reverberations echoing through the game. And the action packed moments are met with powerful melodies and sounds. Overall I can’t say enough about how remarkable Hyper Light Drifter is. The gameplay is perfect. The story is cryptic and mysterious in the best ways possible. The art direction and music are unique and beautiful. Every aspect of the game is married to itself perfectly. Often times I play games that don’t agree with themselves. The world and gameplay and story and art direction just don’t fit; there’s always something that just doesn’t feel right. Hyper Light Drifter is that EXTREMELY rare game that somehow manages to pull everything together to create a game that fits perfectly in itself, every aspect of the game feels like it belongs and fits perfectly in its world. I haven’t played a game this magical for a very long time. 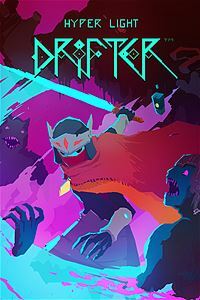 Hyper Light Drifter looks and feels and sounds and plays like a game from a lost era, almost as if the 3D world of gaming never happened and this is what 2D games have progressed to. In fact, Hyper Light Drifter feels like a dream—or possibly nightmare. Like the type of dream, you wake up from wondering and wishing if it could be real but thankful that it’s not, but wishing you could somehow return.